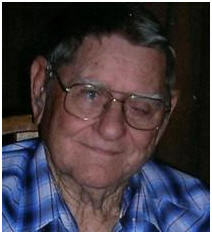 Deward Vernon Overstreet, 88, of Fort Worth died Thursday, July 14, 2011. The funeral was at 12:30 p.m. Monday, July 18th at Moore Funeral Home Chapel in Arlington. Visitation was from 2 to 4 p.m. Sunday, July 17th at the funeral home. Mr. Overstreet was born on July 19, 1922, in Sterling, Okla., in Comanche County. He lived in Fort Worth for over 50 years. He was a World War II veteran and a retired railroad inspector. Survivors: Son, Kenneth Overstreet (Eagle Scout Troop 68); daughter, Jeanie Payton; stepdaughter, Glenda Cromeans; sisters, Vercie Webb and Frances Marshall; seven grandchildren, including Brian Overstreet (Eagle Scout Troop 68); and five great-grandchildren. Our thoughts and prayers go out to the Overstreet family. God Bless our veterans!